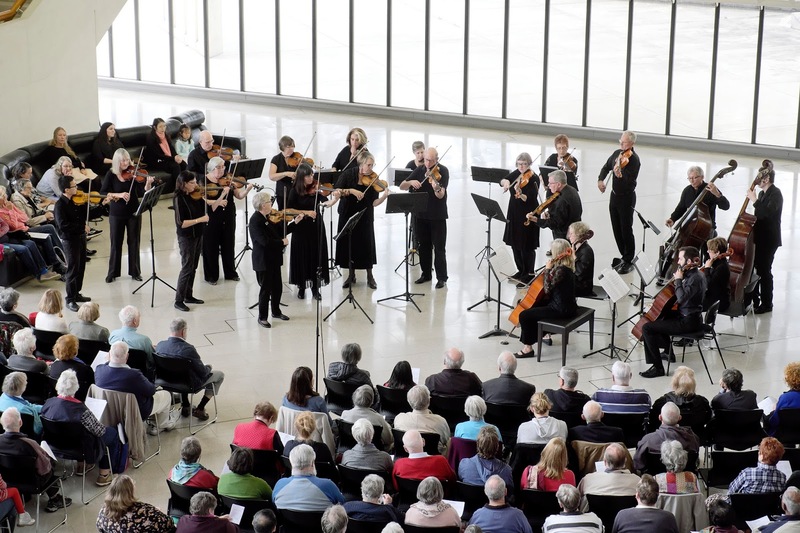 This concert, held at the High Court of Australia, was a celebration of Musica Da Camera string orchestra being part of the Canberra music scene for 40 years. In fact, we were told that they played the first concert in the building after it opened in 1980. Musica da Camera was formed in Canberra in 1979 as a small baroque ensemble. Over the years and under successive musical directors it has grown in size and its repertoire has expanded to embrace chamber music of all styles and periods. 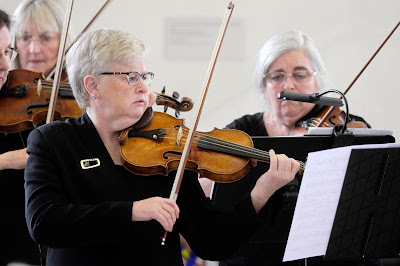 Barbara Jane Gilby, concertmaster of the Canberra Symphony Orchestra, conducted this concert from the first chair. Six well-chosen short works were played. The concert commenced with the well-known Concerto for Strings in G ‘alla Rustica’; by Vivaldi. The orchestra played the three contrasting movements with great energy and clarity. 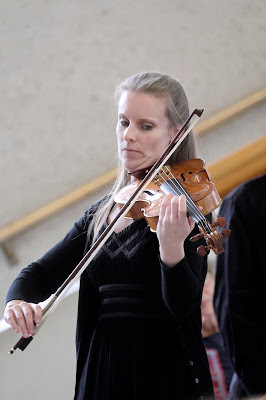 Hindemith’s Trauermusik was next with soloist Lucy Carrigy-Ryan on viola. This hauntingly reflective work was very well played by both soloist and orchestra. It was followed with Elgar’s Serenade for Strings and the orchestra brought out all the warmth and colour of this atmospheric work. Crisantemi (or Chrysanthemums) by opera composer, Puccini, was next. This romantic, dramatic work was one of the highlights of the concert, played with great sensitivity by the orchestra. Another romantic work followed – Waltz for Betz by James Grant. Lucy Carrigy-Ryan gave a fine performance of the solo part on the viola, nicely supported by the orchestra. The final work, Whirling Dance, by Australia’s Graeme Koehne, was an excellent showcase for the orchestra’s ability. They met the challenge of this work very well, making this a dramatic and rousing finale for the afternoon’s concert. For an encore we were treated to a work by Ennio Morricone, Gabriel’s Oboe, from the movie ‘The Mission’. It was sweetly played by the orchestra bringing this delightful concert to a close. Len Power’s reviews are also broadcast on Artsound FM 92.7 in his ‘On Stage’ performing arts program on Monday and Wednesday at 3.30pm. THE RESISTABLE RISE OF ARTURO UI.